Latest in a series of Intel® Desktop Boards optimized for the Intel® -K processors, the Intel® Desktop Board DZ77SL-50K is targeted for performance enthusiasts who are looking for a more affordable solution within the new -K series of the Intel® Desktop Boards. This Intel® Z77 Express Chipset-based product allows overclocking of the core, as well as the graphics and memory frequencies. This Intel® Z77 Express Chipset-based product also supports Intel® Smart Response Technology, which dramatically increases system responsiveness while combining the performance benefits of a solid-state drive with the storage capacity of a traditional HDD in a single drive volume. The Intel Desktop Board DZ77SL-50K also supports Intel® HD Graphics with the LucidLogix Virtu* Universal GPU Virtualization software. 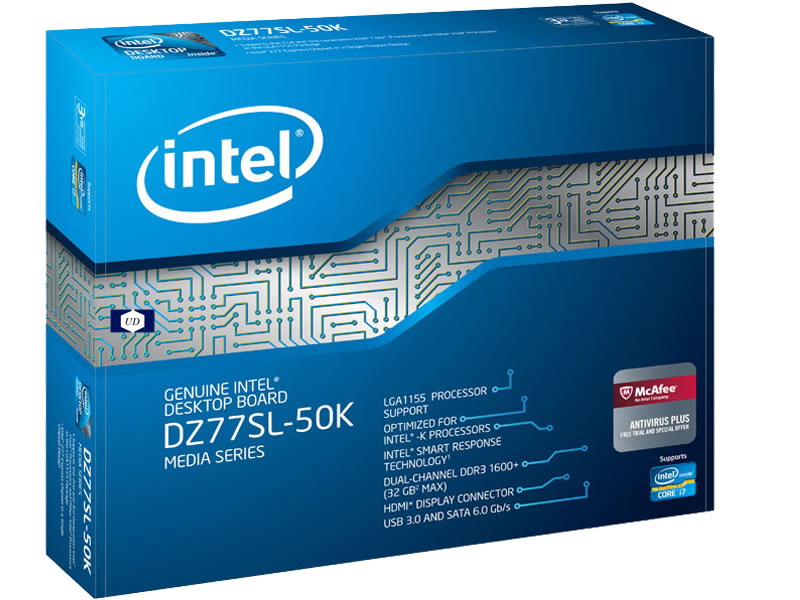 Click the button below to add the Intel Media DZ77SL-50K Desktop Motherboard - Intel Z77 Express Chipset to your wish list.